What is included in mortgage closing costs? “Closing costs” is a fairly broad term that can mean many different things. You could ask five different people and you will likely get five different answers. Let’s dig in on this term and break it apart so we can understand everything that may be considered a ‘mortgage closing cost’. In general, when we refer to closing costs when obtaining a mortgage, we are talking about the fees or costs (outside of down payment) that are required to be paid at closing. Although that list is not inclusive of everything you might encounter, it gives you an idea of what could be included in the term “closing costs”. These fees are categorized into different buckets depending upon what it is for and who is charging those fees. Fees charged by the lender for the purpose of obtaining a mortgage are considered lender closing costs. 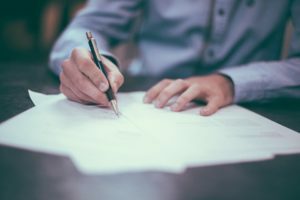 This could include fees paid to the lender like a Processing Fee or Underwriting Fee, but could also include third-party fees such as Credit Report and Appraisal Fees. Keep in mind that this is a list of the most common fees you may see, but it is very unlikely you would see all these fees charged by a lender. Some people will refer to “closing costs” as the fees charged by the lender that do not include third-party services. Others will define “closing costs” as all lender charged closing costs. As you can imagine this means that the amount could vary significantly, sometimes thousads of dollars just between these two definitions. Lender fees are set by the lender. Other than selecting your lender, you will have no control over the fees being charged. Even the third-party services charged by the lender are outside of your control, as the lender selects those third-parties. But there is another portion of closing costs where you do hold control. Prepaid charges are what they sound like. They are prepaying certain items such as taxes, insurance and HOA. Interest is calculated on a daily basis, based on your loan balance and interest rate and then calculated based on the number of days due. Most lenders require homeowners insurance to be escrowed. In other words, you pay the lender the amount required to cover the cost of your insurance and then the lender pays it for you when it comes due annually. Homeowners insurance is required to be paid in advance, so when you close on a home purchase a full year is due at closing. In addition, the lender sets up a cushion in your escrow account to ensure enough money is available to cover the full cost of the insurance when it comes due next year. Normally this is around 2 months worth of homeowners insurance that is also collected at closing. Property taxes work exactly the opposite of homeowners insurance. Instead of being paid one year in advance it is paid in arrears. So, in 2017 you are paying 2016 taxes. This complicates things at closing for a purchase transaction because you will be taking ownership of a home in 2017 yet the taxes for 2017 will not be paid until 2018. Here is how that is solved. The lender collects a cushion (just like homeowners insurance – normally about 2 months) but then you receive a credit from the seller at the time of closing for the portion of the year the seller owned the home and should be responsible for the taxes up to that point. HOA payments are made separate from the mortgage but it is typical to set up your first HOA payment to align with the first mortgage payment. The HOA will collect prorated dues similar to prepaid interest from the day of closing through the end of the month. But they will also collect the next month’s HOA dues at closing as well since HOA dues are not paid in arrears. Now you know what is included in closing costs. The problem is that not everyone includes the same thing into closing costs. plan for closing. The last thing you want to have happen is to get to closing and realize you are going to owe more than you thought because everything was not being included in your “closing cost” estimate.